Blame the mashed potatoes. Seriously. If you plan on eating one of the 46 million turkeys set to be consumed this Thanksgiving, you also plan on gobbling up an amino acid called tryptophan common to proteins. And you likely know this. Holiday lore would have you believe that tryptophan causes mood swings and sleepiness post-feast. It doesn’t. The real reason Thanksgiving meals cause a distinctive torpor is more complicated than C11H12N2O2. When tryptophan is released into the body after the consumption of protein, it triggers the production of serotonin. This chemical neurotransmitter has a powerful effect on brain functions, including (but not limited to) modulating one’s sleep-wake cycle. If turkey was packed with the stuff, it would have an effect. But, while turkey does contain tryptophan, it does not contain an exceptional amount. 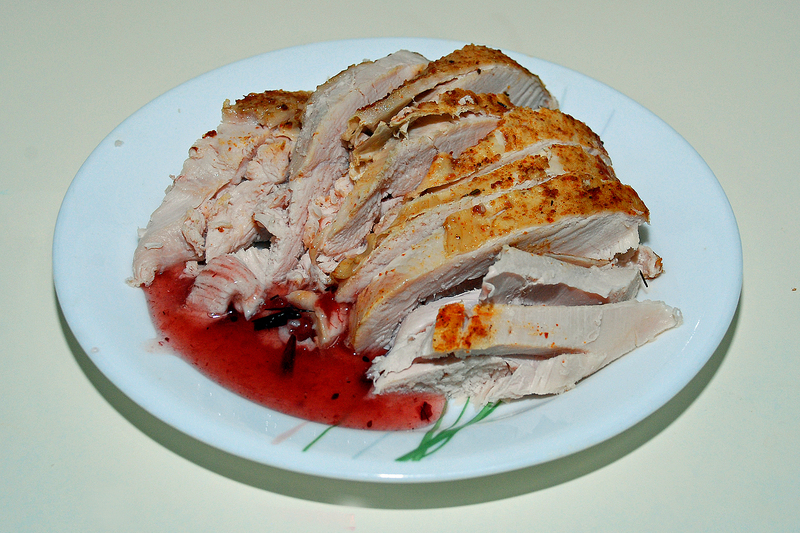 Other proteins, like pork and cheese, contain more tryptophan per gram than a holiday bird. Turkey exceptionalism is anti-scientific. It's not the turkey alone making you sleepy. However, while turkey’s tryptophan isn’t enough to induce sleepiness, the consumption of carbs does cause the amount of tryptophan and serotonin in the brain to rise. Because Thanksgiving is a holiday that facilitates overconsumption, it’s fair to say that tryptophan levels are likely to spike — because of biscuits and mashed potatoes. The truth is that if you cut out the carbs and ate only turkey on Thanksgiving, you’d receive the benefit of any high-protein meal: energy. That’s not a recommendation, just a fact. The tryptophan in turkey could cause mood swings, but only in one particular circumstance: if it was being consumed by someone with almost none of the amino acid in their diet. People with low-tryptophan diets often can’t produce enough serotonin to achieve a sense of well-being so the swing will be upward. That’s why tryptophan, either as a drug or a dietary component, is sometimes given as an antidepressant for mild-to-moderate depression. Still, the effectiveness of this treatment is disputed. According to the American Nutrition Association, some studies show tryptophan creates a small but significant effect. Others do not. And, while we’re on the subject, bananas don’t increase serotonin levels. That’s a myth as well.